Forty children and two adults were affected by the leak. Dozens of children were taken to local hospitals after a chemical leak at a YMCA swimming pool in Durham, North Carolina. The leak, which occurred at approximately 3 p.m. at the Downtown Durham YMCA, affected 40 children ages 6 to 12 years old, as well as two adults, according to Durham County Emergency Management. Six children were initially considered to be in serious condition at the scene, but they improved after being treated by hospital staff, an EMS official said a press conference Wednesday evening. Those affected showed symptoms including vomiting, respiratory illness, and skin and eye irritation, according to Durham County Emergency Management. The leak appeared to involve chemicals used for pool disinfecting, which reacted with each other, causing nauseous fumes, fire officials said at the press conference. Fire officials added that the leak appears to have been caused by a mechanical issue. (WTVD) Twenty-three people were taken to area hospitals after a chemical spill at the Downtown Durham YMCA in Durham, N.C., Aug. 2, 2017. Witness Dan Winn told ABC station WTVD that he saw kids "coughing" shortly after smelling a "real strong odor." He added that the smell caused his asthma to flare up, saying, "I had a tightness in my throat." The YMCA said it took action immediately after the odor was reported. 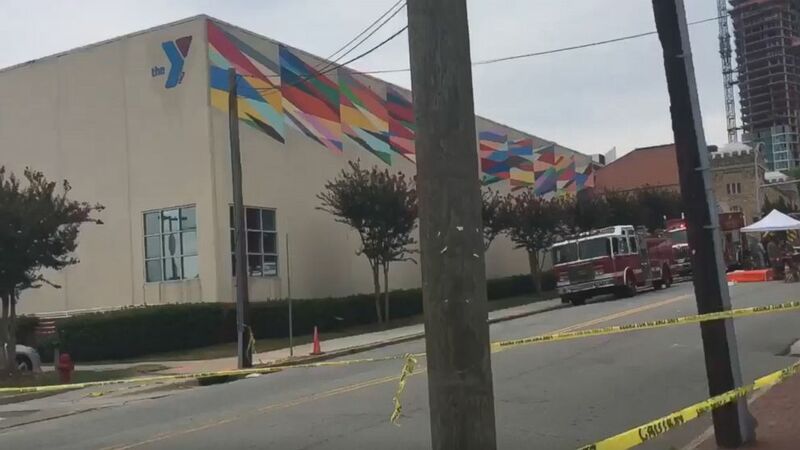 "Earlier this afternoon, a lifeguard at our Downtown Durham YMCA reported a strong chemical odor near the pool pump room," the YMCA said in a statement. "YMCA staff immediately contacted EMS. They, in turn contacted the Durham Fire Department who determined that this was a hazmat situation." The statement continued: "Today, approximately 100 campers from our Club Boulevard Elementary Club location swam in the Downtown Durham YMCA pool. As part of their daily routine, they were taken back to their camp at Club Boulevard Elementary School. At about 3:00 p.m., some children began complaining about nausea and breathing issues. Our camp staff immediately contacted EMS and began notifying parents." The pool has been closed, Durham County Emergency Management and the YMCA said. An investigation into the incident is underway.